that caution and abstinence are the ways to get rid of misfortunes befalling due to ill health get rid. If we think with subtle intution we get to know that every thing is being done and guided by some external force and we are bound to do that. Numerology, Which is a part of astrology is the science that describes the influence of the heavenly bodies upon mundane affairs and upon man and life. 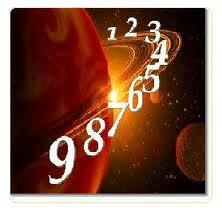 Numerology can only indicate what is likely to happen but astrologically we can know the kind of the happening. Number 1 belongs to Sun. One who is born on 1, 10, 19, 28 is mainly ruled by Sun. The Sun governs the back, heart, arteries, head, liver, stomach and retentive faculties. Illness related to these are high blood pressure, palpitation and heart attack. These people have great vitality of life. That is why they do not feel the work load heavy and they spoil their inner vitality with too much zeal. Intoxicants (wine or cigarette) and medicine addiction should be avoided by them, otherwise they may, liver, kidney and lungs problems. They like to take food which produces high calories and intoxicated drinks, which is not good for them. They need rest and sleep. They should avoid cool places and be careful about eye and throat problems. They should take honey, dry fruits, orange, apple, clove, ginger, barely. Kesar, Ashtvarg, Ashwagandha and nutmeg. These are extremely beneficial to them. October, December and January are not good months for them. They have to be cautions in then 10th, 19th, 28th, 37th and 55th years to there may be changes in there lives. They should avoid rigidity and ruling nature. This number is governed by Moon. Those who are born on 2, 11, 20 and 29 are ruled by Moon. The diseases of Moon are consumption, rheumatism, vertigo, colic, palsy, apoplexy, smallpox, dropsy, piles, tumour, cough and cold, eye disease and toothache. Living style and atmosphere have extreme effects on them. Seasonal fruits, cabbage, cucumber, carrot, radish and linseed are extremely beneficial for them. They should avoid cool, dark and dirty places. January, February and July are the harmful months. 1st, 4th, 10th, 11th, 20th, 25th, 29th, 43rd, 47th, 52nd, 66th, are years of life which need caution and care. The natives who are born on 3, 12, 21 and 30 have the main number 3 and are governed by Jupiter. It is considered a hot, sanguine, airy, beneficial, masculine and social planet. Jupiter governs the liver, lungs, veins and all the viscera. Those persons who are influenced by Jupiter should avoid ego and be guided by self intuition which is found in him in plenty. Skin diseases, joint pain, gastritis, cough diabetes, paralysis and heart fail may happen to then. They should avoid fatty meals. Apple, grapes, pomegranate, pineapple, almonds, mint, cherry and cloves etc. are beneficial for them. February, June, September and December, 3, 12, 21,30, 39, 48, 57 and 65 are also event fuly years for others them. They should work independently. Interferencely causes mental tension for them. Number 4 is associated with Rahu and governs the number 4, 13, 22 and 31. This is a shadow planet and is known for ups and downs and also wonderful deeds. They are happy, they don’t feel it, otherwise they are always worried about the diseases. They do not appear to be healthy, but the inner vitality keeps them going. They do not die even after major accidents or massive blows. Cold, influenza, lung problem, piles, constipation, tumour, anaemia, urinary and kidney trouble especially hit them. To avoid these problems, they should be mentally peaceful and intoxicants and spicy fatty foods should be avoided. Electrotreatment is beneficial for them. Taking precautions, may save them from nervous strains and unnecessary disappointments. Green vegetables and vegetarian foods are essential and beneficial for them. January, February, July, August and September are not good months for them. 4, 13, 22, 31, 40, 49 and 58 years are eventful aflict these people. One who is born on 5, 14, 23 is influenced by number 5, whose ruling planet is Mercury. Mercury governs speech, memory, nostrils, hands and the nerve system. Sleeplessness, diabetes, physical and mental depression, stammering apoplexi, lisping, dumbness, tumour in the nose or head, nervousness, cough, hoarseness, gout in hands and feet and vertigo are the main diseases that timely meals, sleep and rest is essential for them. Carrot, radish, coconut, Ajwain, mint, green vegetables, pulse, Trifala and barley have capacity to keep them healthy. June, September and December are not good months for them. 14th, 23rd, 41st and 50th years are for changes. They should be careful during these years. Numbers 6, 15 and 24 are ruled by Venus. Those who are born on these date are the stars of destiny. They easily come grip of diseases related to lung, throat, nose and head. They should guard there selves against heart trouble. The luxurious life, loving attitude for artistic and beautiful things, journey and inclination towards females can cause severe diseases related to urinary system. If they keep control over themselves they can avoid dropsy, cancer and diseases related to infections due to closeners. Green vegetables, cucumber, apple, pomegranate, almonds, salad and rice are beneficial for them. They should avoid non-vegetarian food 6th, 15th, 24th, 33rd, 42nd, 51st and 60th are the eventful years for them. May, October and November are not good months. A person born on 7th, 16th and 25th have association with number 7 and is ruled by Ketu. This number stands for subconscious and magical will. Many friendships, ill temper, vociferousness and mental tension will cause many diseases in them. They can be easily affected by the atmosphere of their dwelling place. Bronchitis, cough and cold, nasal congestion, bad eye sight, tonsillitis, psycho-hysteria, lung problem, skin and chronic diseases can affect them easily. They should avoid intoxicants and carbon-di-oxide producing things. Sleep, fresh air and water, simple food, fruit juice, apple, grapes, cucumber, cabbage, Chiku and linseed are good for them. January, February, July and August are not good for them. 16th, 25th, 34th, 43rd, 52nd and 61st years are eventful for them. Those persons who are born on 8th, 17th, 26th are ruled by Saturn. The native of Saturn is always self made, economical, thrifty and provident. They are infected by many chronic diseases like epilepsy, tooth ache, black jaundice, deafness, leprosy, dropsy, diptheriaeria, glandular swelling on neck, blood infections, joint pains, constipation, paralysis and anaemia. They should avoid any kind of intoxicant. Early rising, exercises and breathing fresh air are essential for them. December, January, February and July are the months of trouble for them. 8th, 17th, 26th, 35th, 44th, 53rd and 62nd are eventful years for them. Those people who are born on 9th, 18th and 27th are ruled by Mars. They are extremely sensitive. It governs involvin the head, face, kidneys, knees, groin, bladder, organs of generation, heart throb and circulation. The diseases of the planet are of the inflamatory kind like. Tumors, small pox, measles, headache, fevers of all kinds, sexual diseases and high blood pressure. Accidents and blood shedding is the part of their life. They should avoid impulsiveness, mental anxiety and hypocratism. Garlic, onion, ginger, green chillies and coconut water are extremely essential for them. April, May, October, November are the months to be careful. 9th, 18th, 27th, 36th, 45th and 63rd are the year of events.